With the way life gets in the way, we don’t always get to watch a sequel the day after the original. But here we are with the second in the ’28 (some unit of time) LATER’ series. There were only two. At least for now. Maybe sometime in the 2030s we will finally get 28 YEARS LATER. Don’t hold your breath. 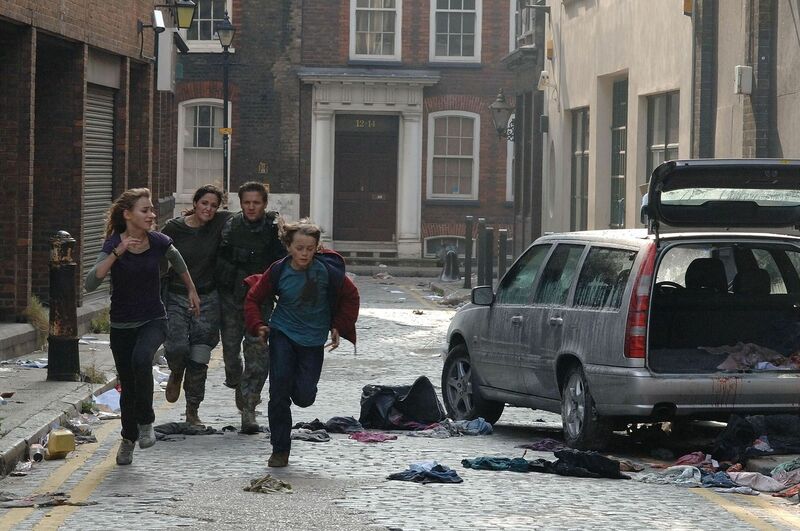 I watched 28 WEEKS LATER (2007) on 10.26.15. It was my second viewing of the film, and first since the year it was released. In the first film, we learned that the Fear virus was contained to the British isle. This sequel contains none of the original characters, instead focusing on a whole new set of people half a year after the outbreak began. The opening scene is absolutely brutal. We meet our protagonist, Don (Robert Carlyle) and his wife, Alice (Catherine McCormack) holed up in a house with some other folks a few days after the Fear virus hits. Some terrible thing happens, and Don runs from the house, leaving everyone else behind to be eaten. We then flash forward, as the title suggests, to 28 weeks into the future. The American army has helped clear the starved bodies and rebuild a section of London. Survivors are brought back, and refugees returned. All is watched under the careful eye of the military as peace reigns. Don is reunited with his kids, Andy (Mackintosh Muggleton – who may have the most British name of all time) and Tammy (Imogen Poots). Don does something unforgivable, putting the audience in the position of not really rooting for its chief protagonist. The script has enough awareness to address this problem earlier than normal, and we are given a couple of military heroes in doctor Scarlet (Rose Byrne) and sniper Doyle (Jeremy Renner). Doyle also has a buddy, Flynn (Harold Perrineau), who flies a helicopter and is able to be a possible savior once everything inevitably goes south. Looking at some of those names, this is a movie which benefits in hindsight from some good casting. Renner, Byrne, Poots, and Idris Elba (as a higher up in the American forces) all went on to larger things. Robert Carlyle and Catherine McCormack are solid anchors. Even if this isn’t a movie that you would say has great acting, each of these people certainly has a presence at the very least. This is a gory, entertaining film which has about the least understandable thematic thread of all time. Like the original, this film contains a large distrust of the military. Only, as the way the events play out (unlike the original), all of the terrible things the military decides to do turn out to probably have been right. Also, this is a movie with two kids as our leads as we pull for them to survive only to, again, make us pay for that specific hope. In fact, every single protagonist in this film who does what they do – starting with the kids sneaking out of the safe zone to revisit their old house – turns out to be the wrong choice. The theme of this movie, it would seem, is that blind allegiance is the smart play and that children are the ruin of civilization. 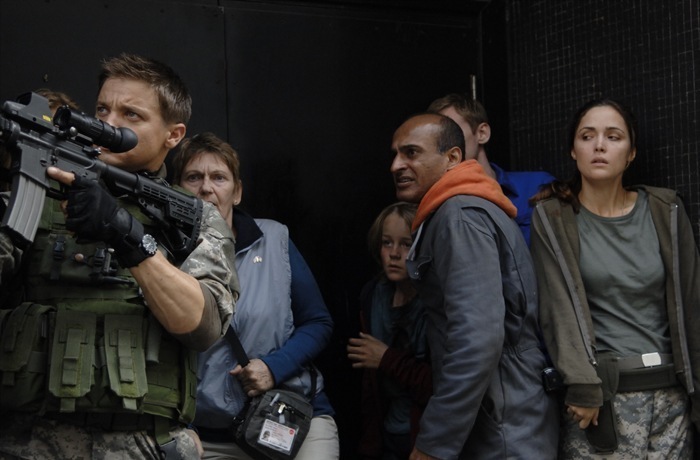 So, while 28 WEEKS LATER certainly looks better than its predecessor, and while this movie does have its own brand of fine entertainment, there is almost no moral depth to be found here. Together, these are a nearly nonaligned couple of films. The first is cerebral and small, the large is all guts and gives us a macro view of things. The first has likable characters we are rewarded for liking, the sequel is a mash up of characters who betray our allegiance. Neither is a particularly great film, but both are decent movies in different ways. Really, if you see the first, though, see this one. It is the same universe, even if it might not always feel that way. ~ by johnlink00 on October 26, 2015. Not as great as the first movie, but still effective in its own right. Nice review John.